I wish this SMORE could be delivered with a personalized note for each of the teachers of Humanities in GCISD. I wish it could convey the gratitude I have for the work you do every day with children. I wish the world knew how hard you work and how exhausting it is to design engaging instruction with a million competing interests, manage the paperwork and outside expectations of being an educator, continue growing professionally, juggle personal lives, and stay "present" for students. I wish I could give you more than a SMORE for Christmas, but please know that it comes with sincere gratitude and admiration. This is an incredibly busy year in all facets of the Humanities Department. GCISD is at the mid-point in our LEAD 2021 efforts; it is a pivotal time. This newsletter contains a recap of many updates around the district. Take a few moments at your leisure during the break to see all that is being done to ensure that the mission of GCISD Humanities is closer to being accomplished. A massive overhaul to the ELA and SS curriculum documents is underway in preparation for a fall 2016 implementation. 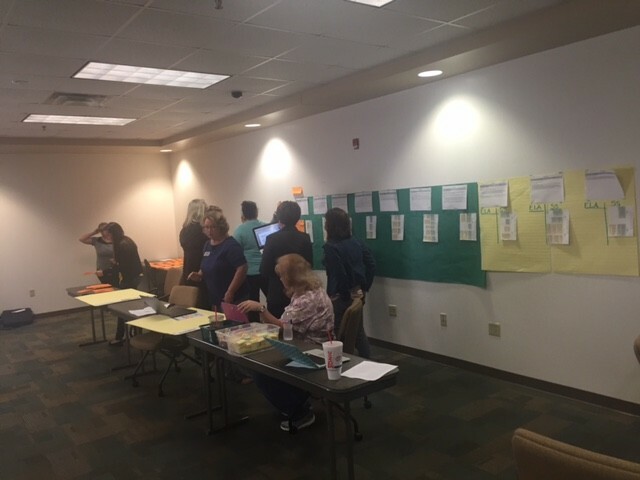 This work involves one teacher per campus per grade (66 total) along with instructional coaches and campus leaders collaborating on several days of design and resource development. 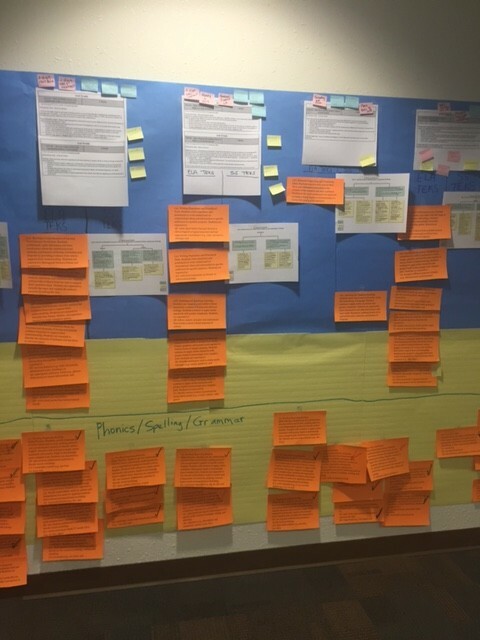 The goal of the work is to find as many logical connections between reading, writing, and social studies as possible within the TEKS for each grade and design units of instruction drawing upon these connections. The model for instruction will be reading and writing workshop along with Cornerstone Tasks serving as culminating demonstrations of knowledge and skills in all areas. See below for a glimpse into the work we've been doing. Students are doing AMAZING things across the district in their ELA Elective classes. Take a look at this book trailer created by Hazel in Mrs. Pelt's Young Adult Literature class at HMS. GOTTA SEE THIS! View the Book Challenge mid-year SMORE for more information and resources for helping students/adults pick their next good read. Check out a great book! Jeff Anderson's entire collection of books (4) on teaching writing. These are fun, accessible, and immediately applicable to teachers in any content area... and just a hint... he MIGHT be a guest at this summer's Humanities Summer Institute the first week of June!! Get lost in the TEDed lesson site. Pay close attention to the sections on Literature and Language or Social Studies. A few campuses/grades have been more focused on completing the templates in the folder this year, and the results they've shared have been encouraging. 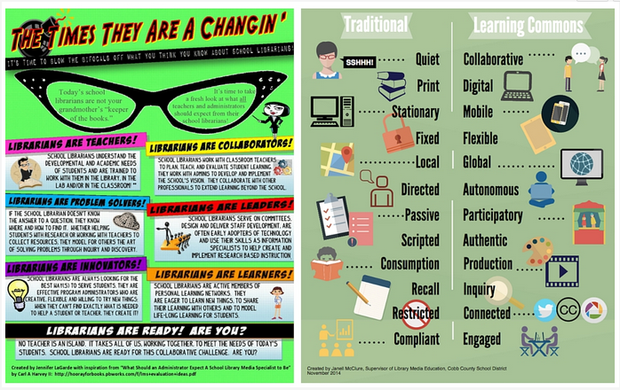 Some GMS teachers recently relayed that these have led to some of the best instructional planning they've ever done. A few campuses are taking our department up on the offer to cover the cost of subs to invest the time in unit design planning this year. (The first year of any new process takes longer [and is more painful] than subsequent years.) If your teams would like to do this in the second semester, please jot your info on this form. We'll send you sub codes and make plans! Related to the issue of unit design is the effort to align semester exams in Humanities courses. This year, all middle schoolers took common semester exams in ELA and SS. Some high schoolers took common exams in English, and next year, we'll move to common exams in high school Social Studies. All of these efforts are designed to bring greater consistency to the access students have to an aligned written, taught, and tested curriculum. The common exams also serve as STAAR benchmarks (in applicable grades) and are thus saving time previously used for administering separate benchmarks and semester exams. The screencasts below can walk you through either the ELA or SS templates and the components thereof. Completing every box of the templates IS NOT THE GOAL. 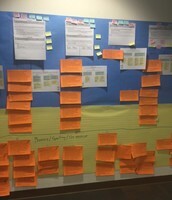 The goal is to spend time with PLTs considering the end goal of the unit and mapping out a plan to teach the requisite skills and knowledge to get there in a way that utilzes best practices and common instructional expectations. New K-12 Social Studies adopted materials - For the first time in 13 years, the state has provided funding for new SS instructional materials. The arrival and integration of materials have been a bit more challenging than would have been ideal, but overall, the quality of materials has been an enormous upgrade over what we've used in the past. New Literacy Intervention Model - A fairly drastic restructuring of the teaching assignments and roles of our interventionists took effect this fall. The three main priorities of the K-5 aspect of the model are: to provide therapy to students identified with characteristics of dyslexia, to provide literacy intervention to non-dyslexic students in need of support, and to provide support for classroom teachers to strengthen Tier I literacy instruction. The efforts in 6-12 involved educating staff members and increasing the instructional support to students through both assessment, accommodation, and therapy. 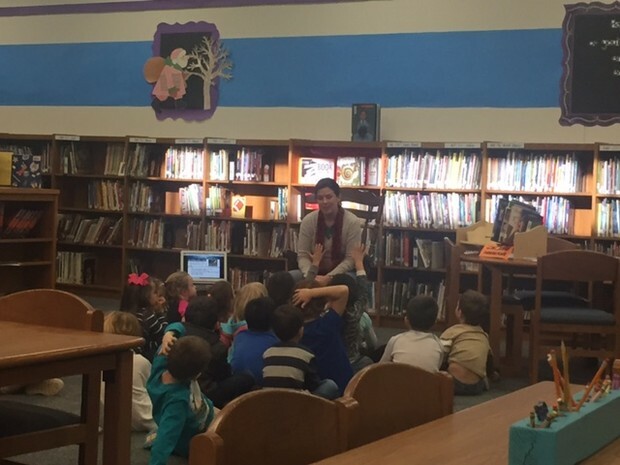 Research has consistently shown that schools with the most vibrant, interactive, collaborative, well-used library spaces have higher scores on many standardized measures. Libraries are no longer simply places to go browse for a paper copy of a book. Rather, they should be the most active space in the school with opportunities for individual reading, small group collaboration, tinkering with makerspace materials, whole group instruction, a plethora of online resources, and a professional educator eager to help students access any information they might need. Many of you took your campus Learning Commons survey at the beginning of the year. Librarians have reviewed this feedback with campus leaders and are working on areas in need of growth. The survey will be given again later this year. Please take advantage of the services in your Learning Commons and tap into the expertise of one of the most helpful people in your school! Check out the recent article on Student Voice. It's not to late to join the pilot. Email Dr. Newell to get more information.